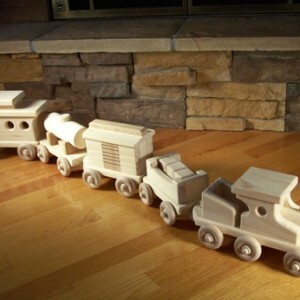 The circus train is constructed of pine with birch wheels. 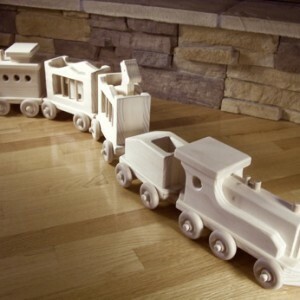 It measures 45 1/2 inches long by 7 1/2 inches tall by 6 inches wide. The 2 cage cars include a giraffe and an elephant. The top also comes of the caboose for carrying more cargo.